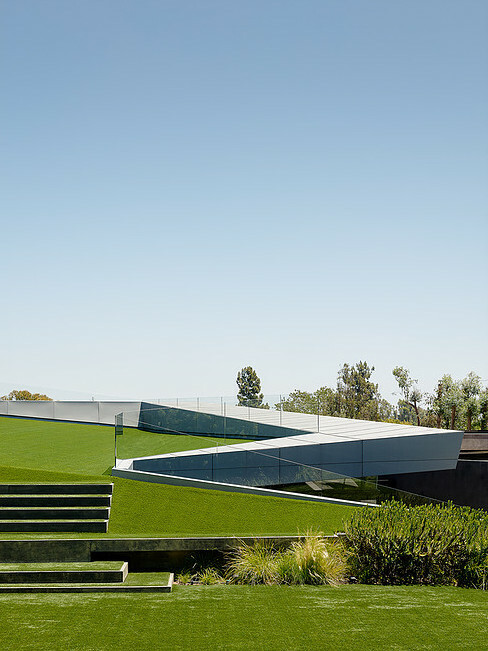 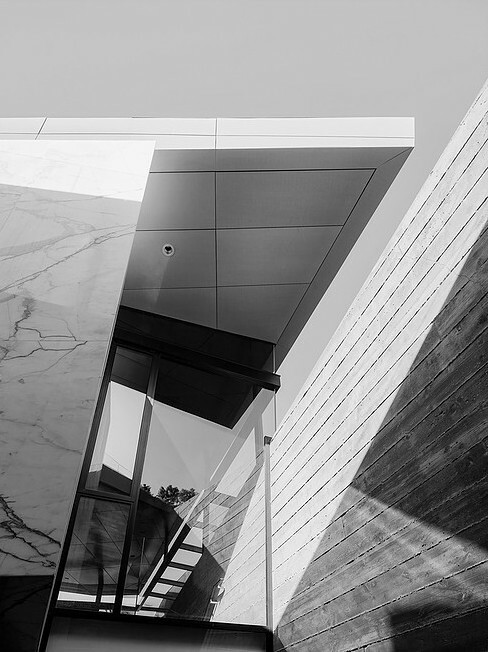 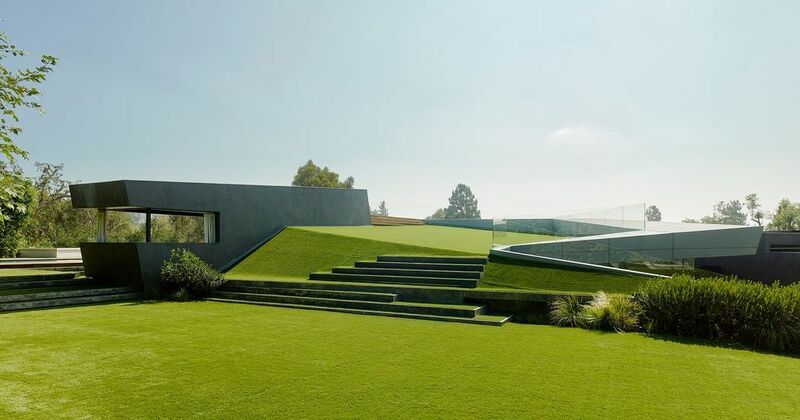 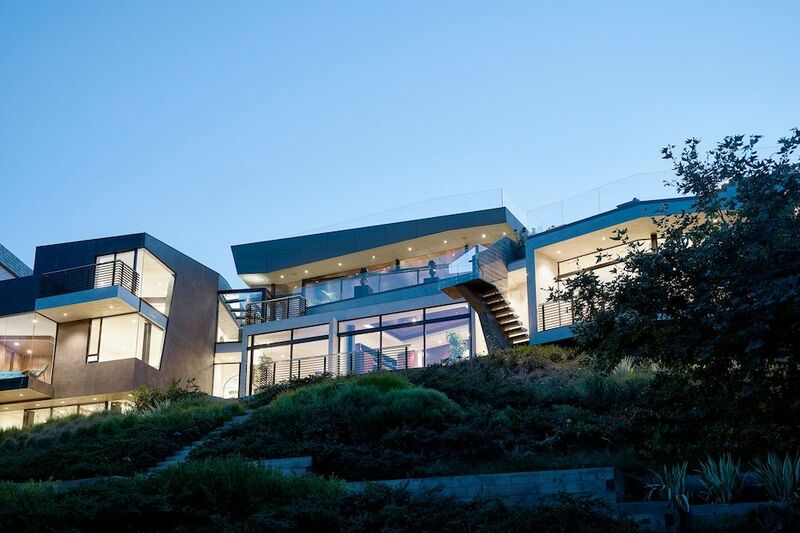 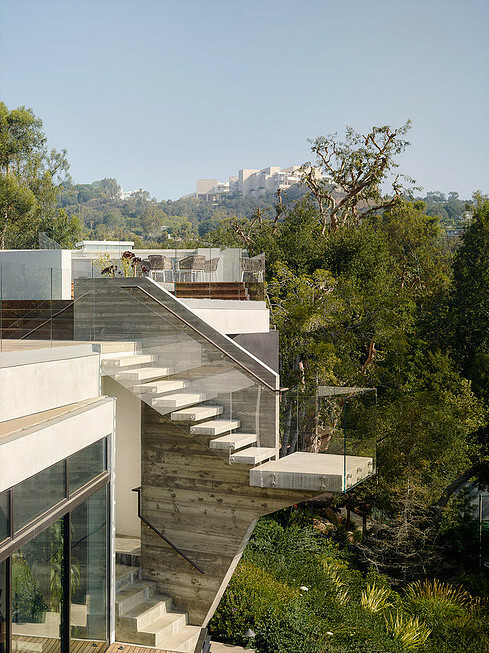 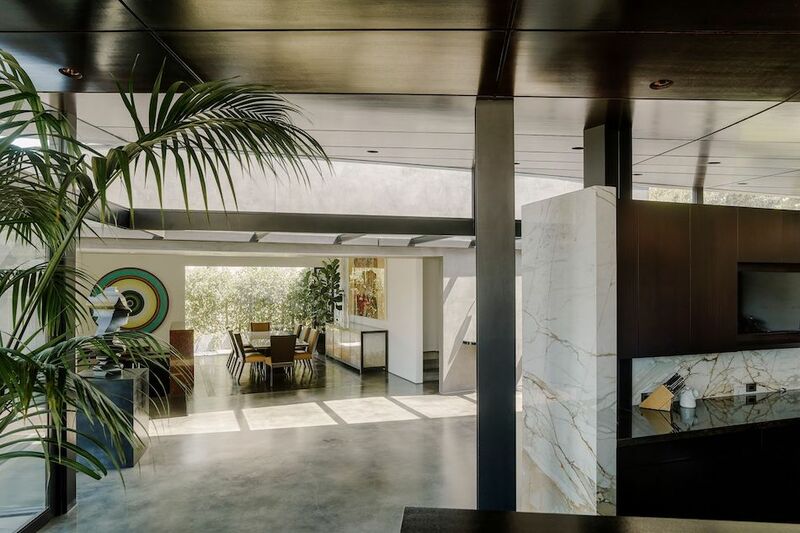 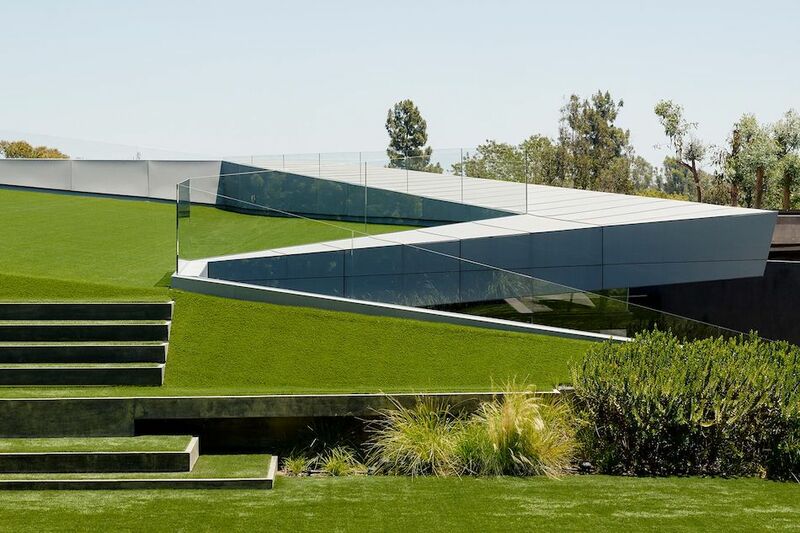 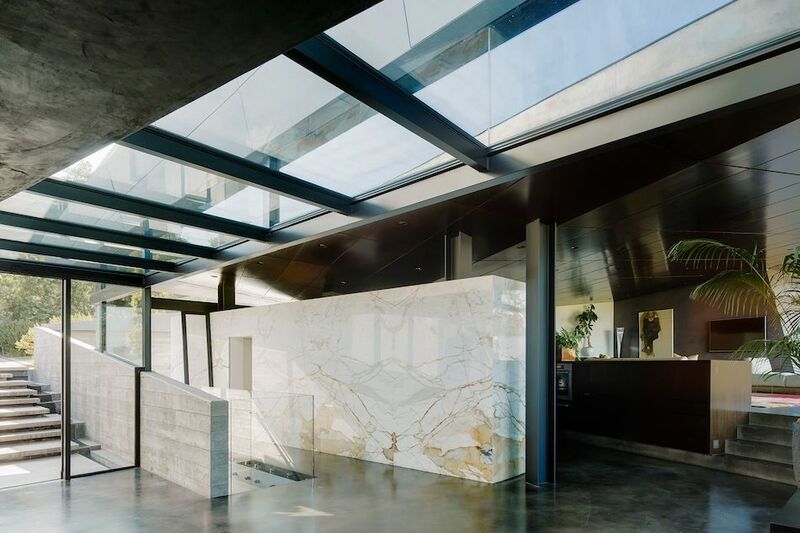 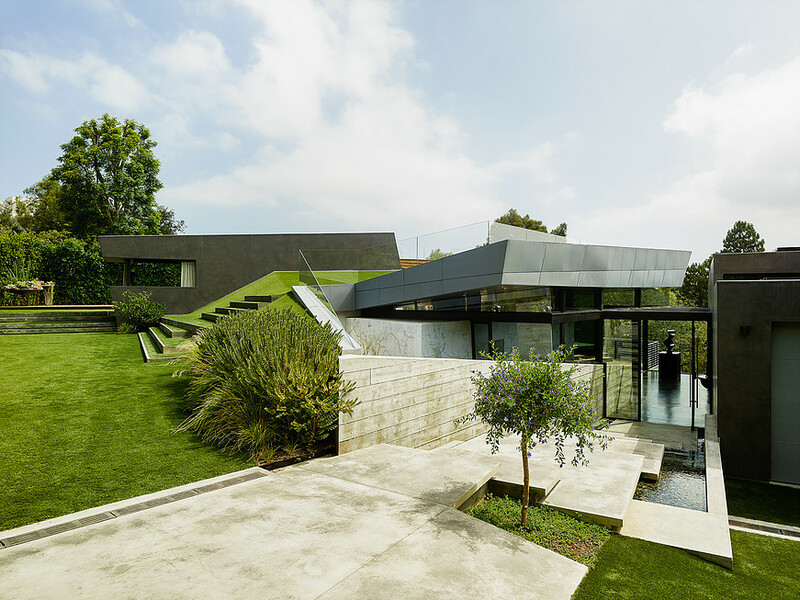 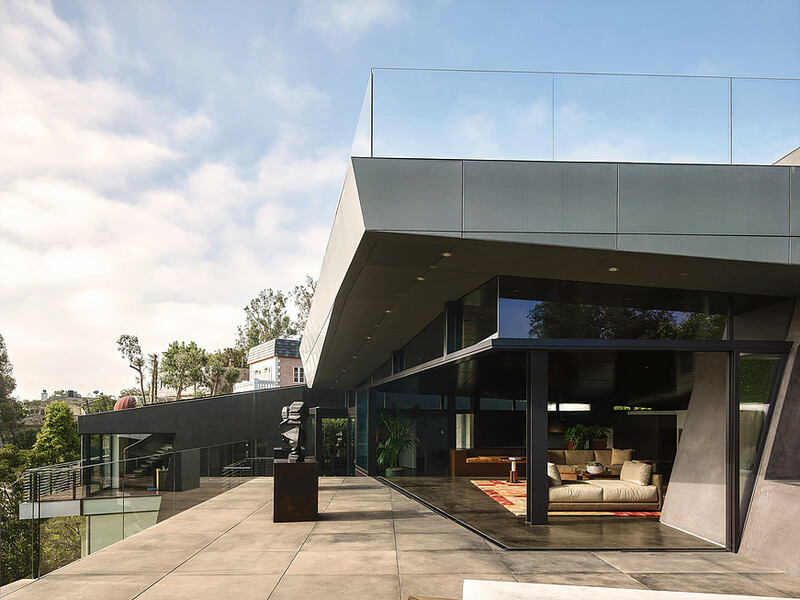 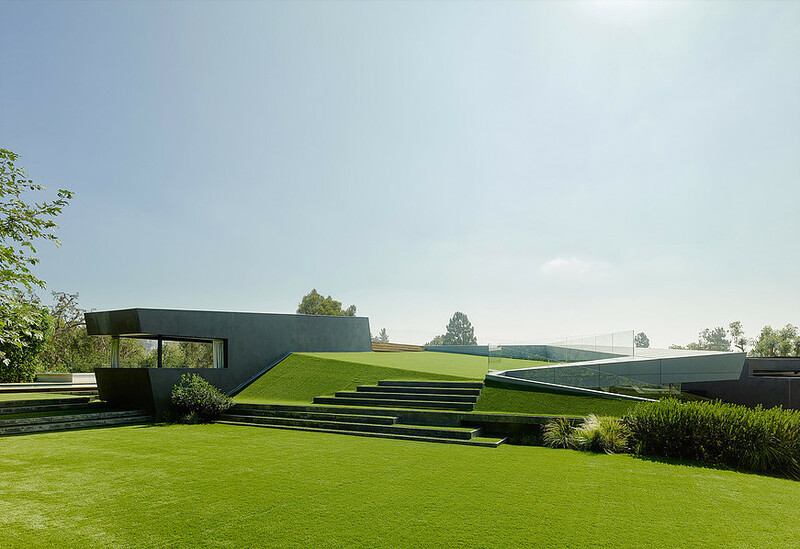 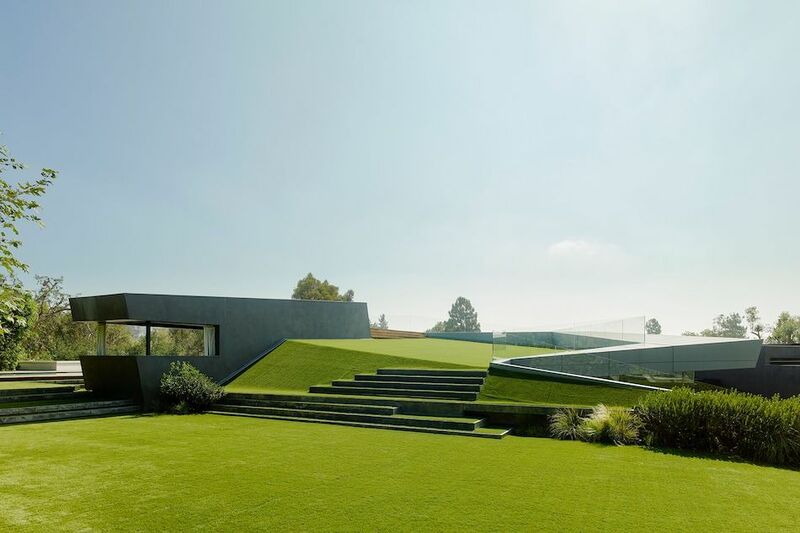 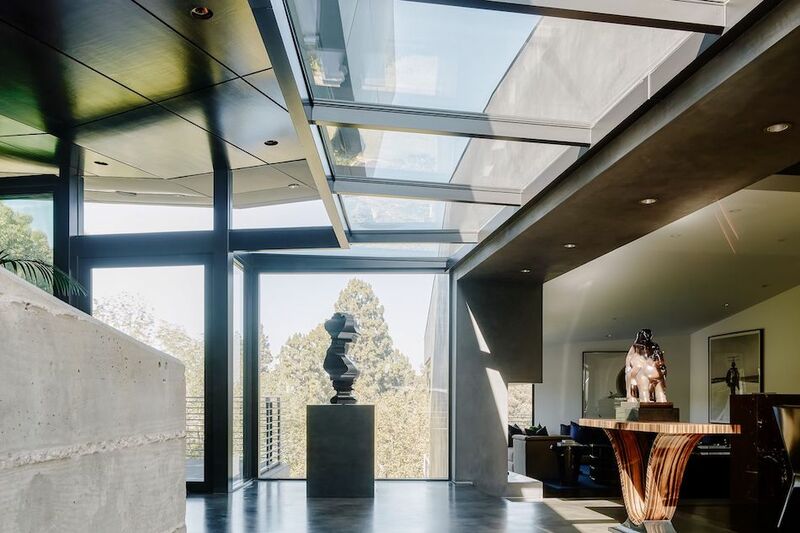 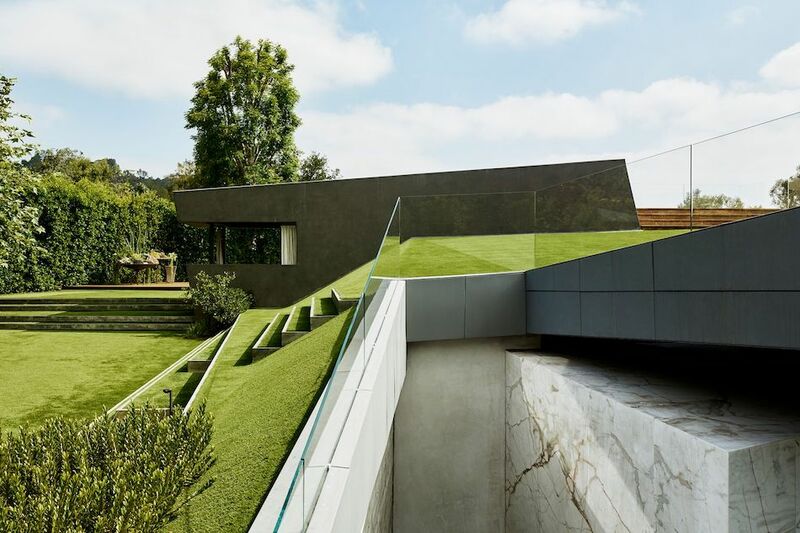 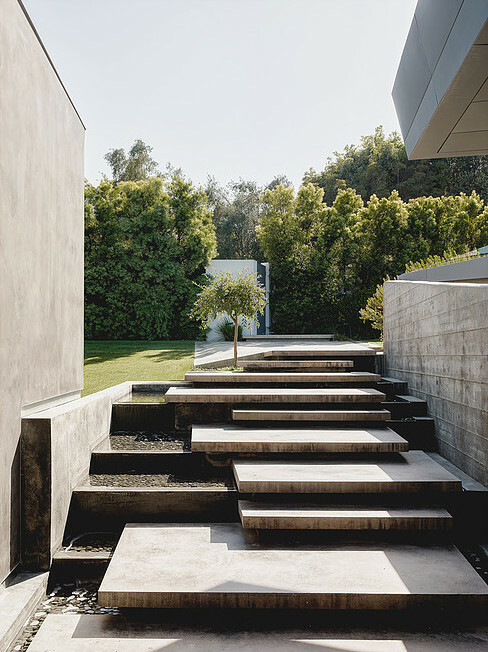 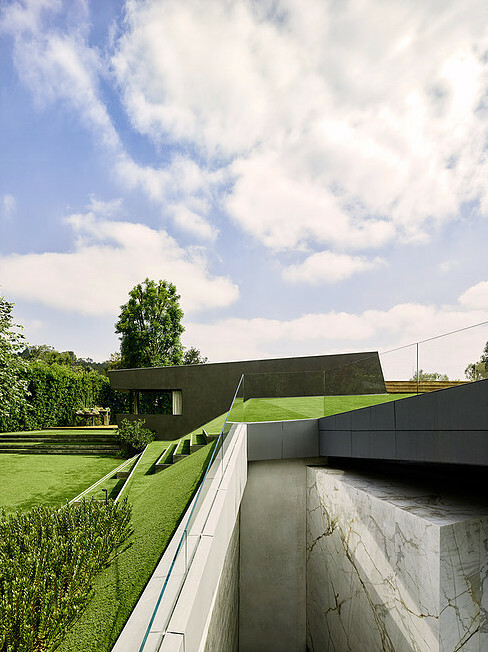 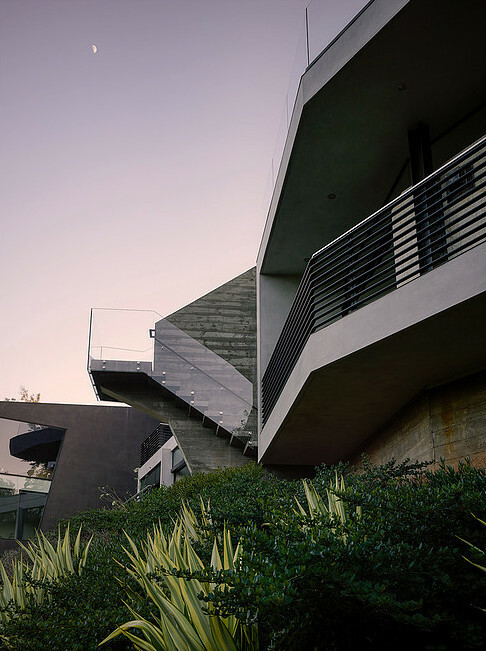 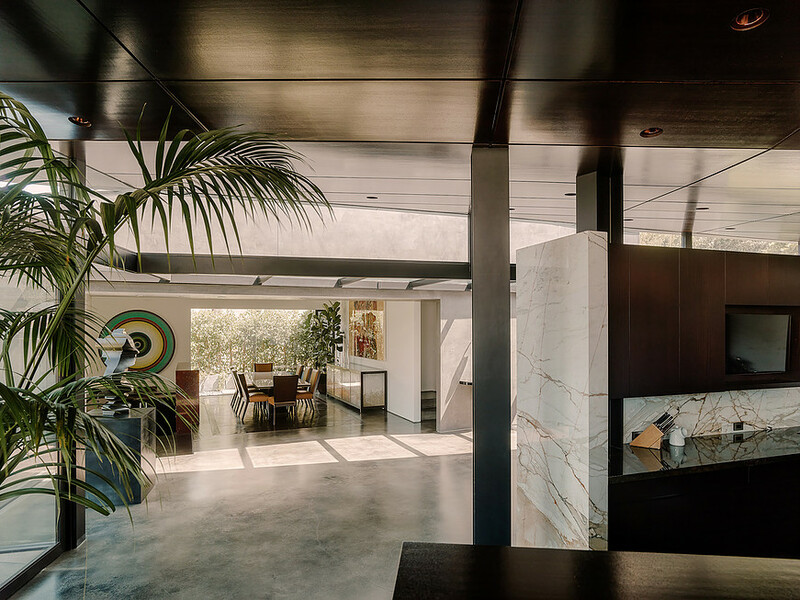 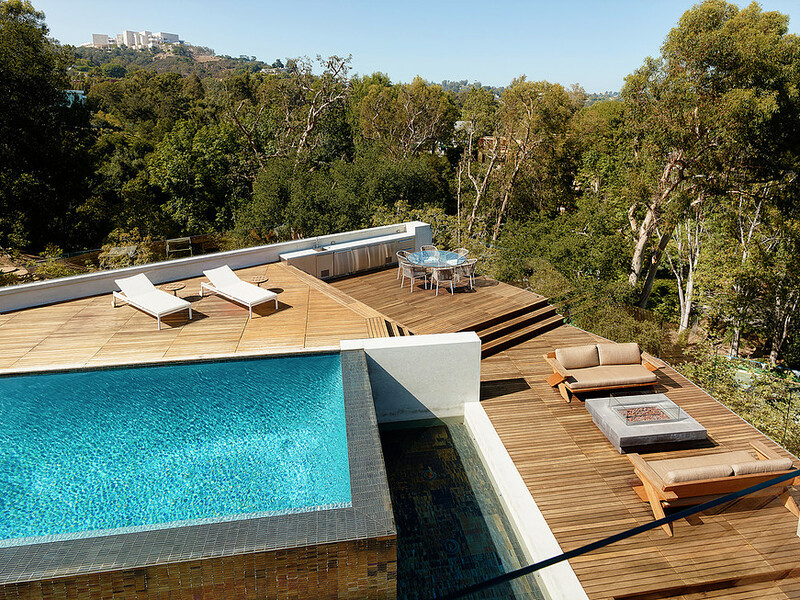 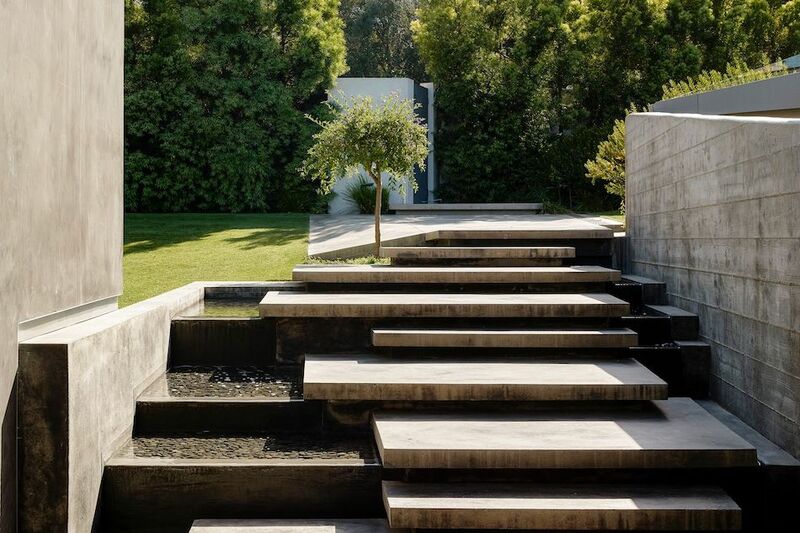 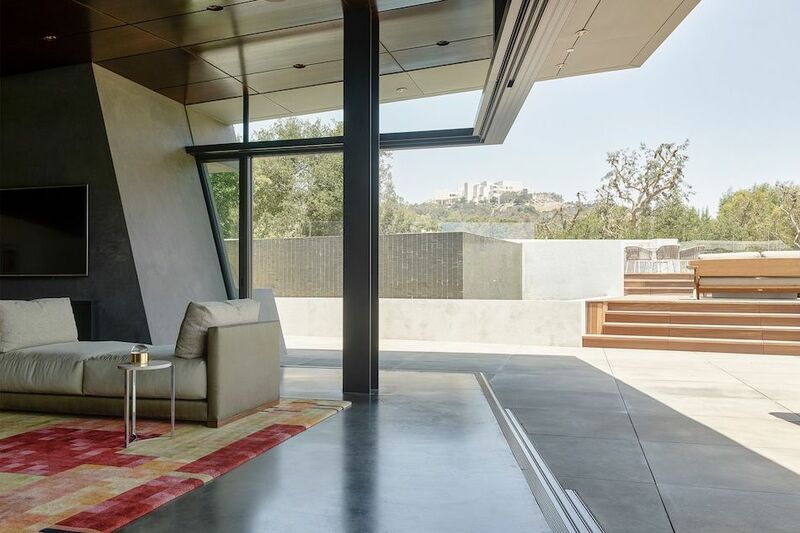 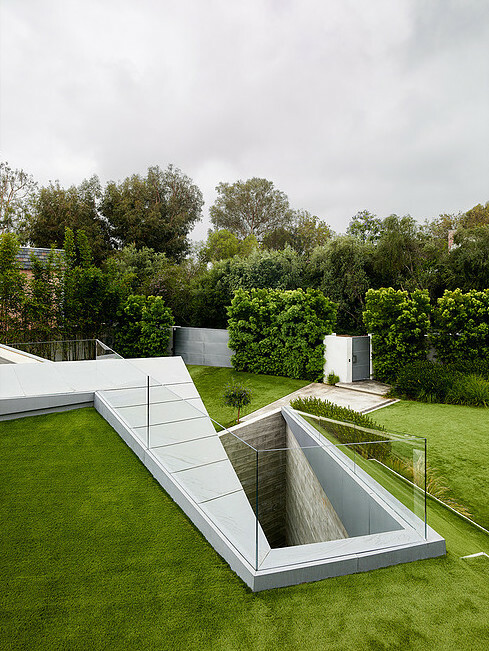 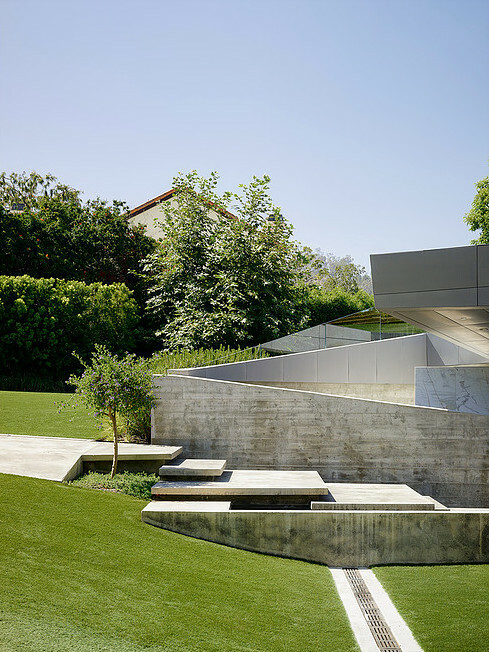 Hidden behind hedges and gates, this ultra-modern 8,497 square foot architectural masterpiece unfolds along the slope of the 0.83 acre property in a Z-shaped layout. 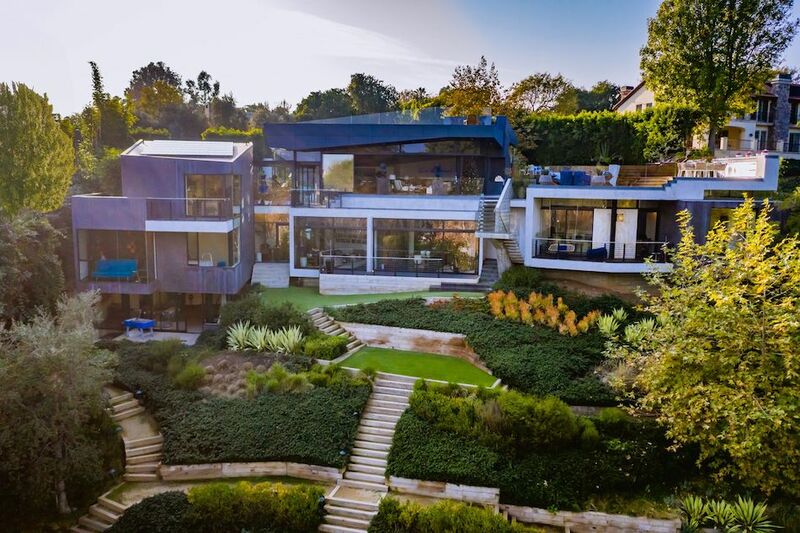 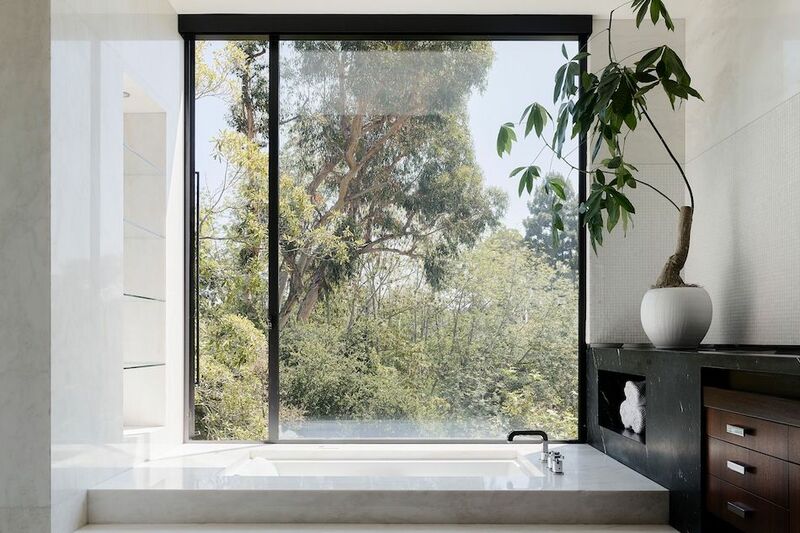 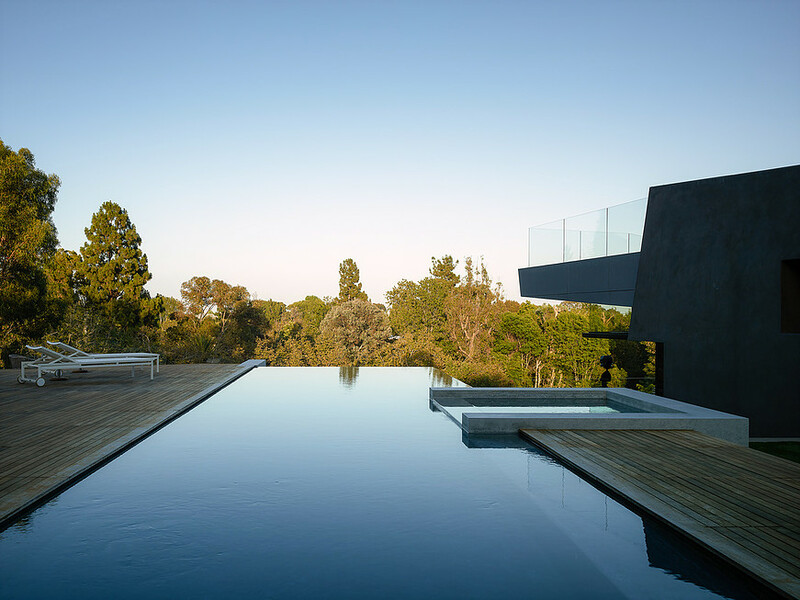 Designed by architect Eric Rosen and built between 2014 – 2016, the eight bedroom and eight bathroom Barrington Residence has just hit the market for $21,500,000. 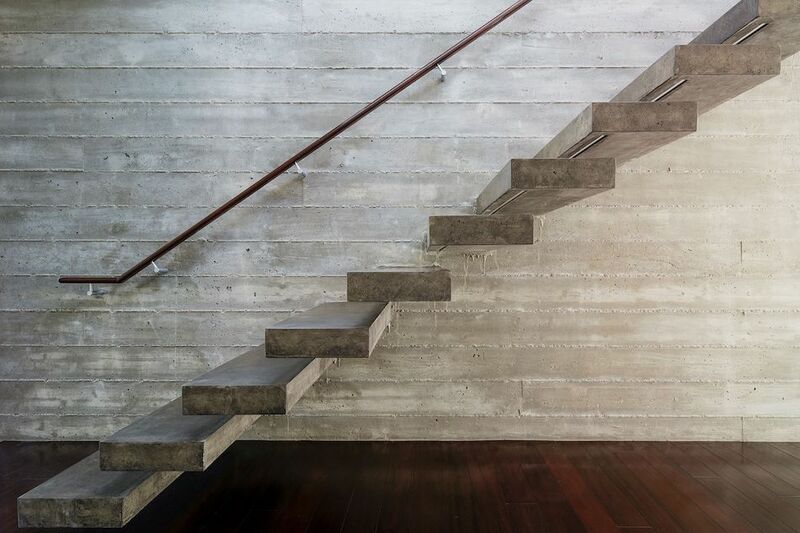 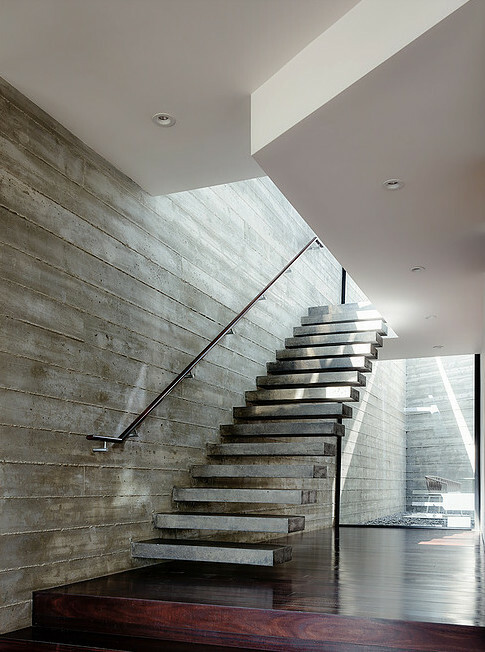 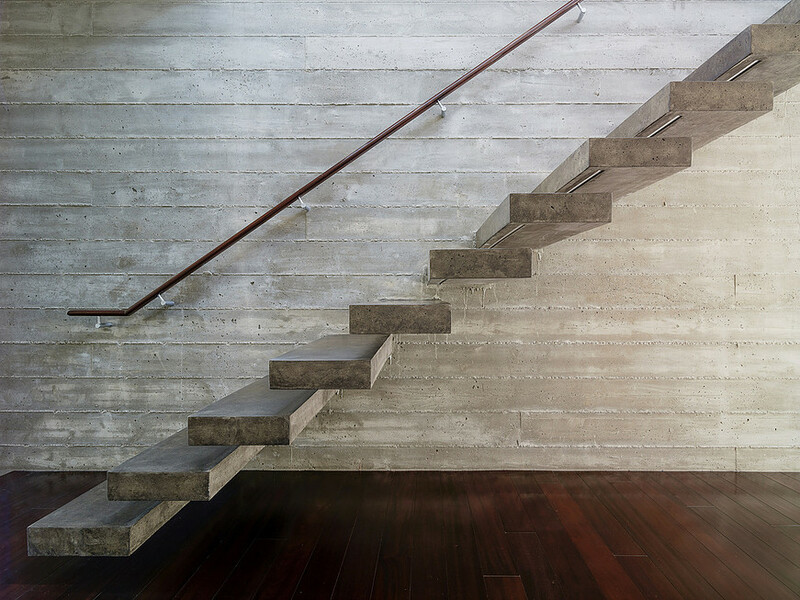 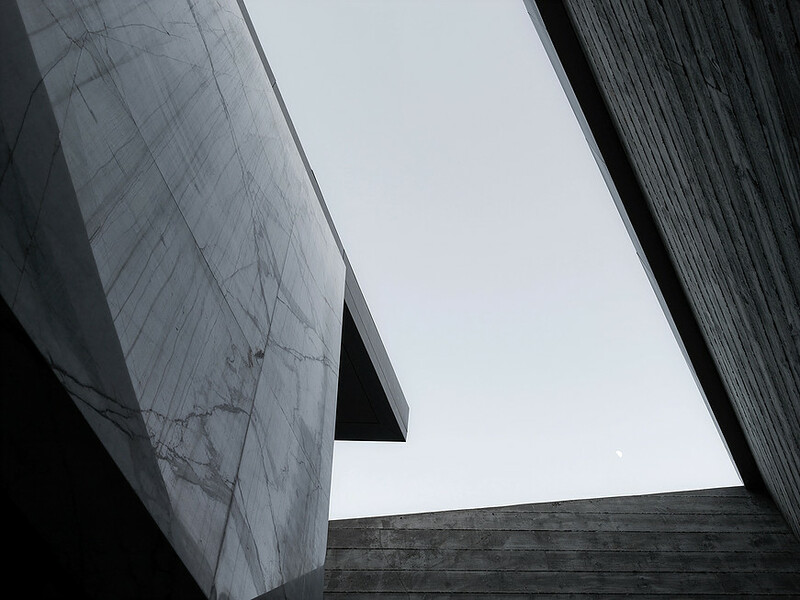 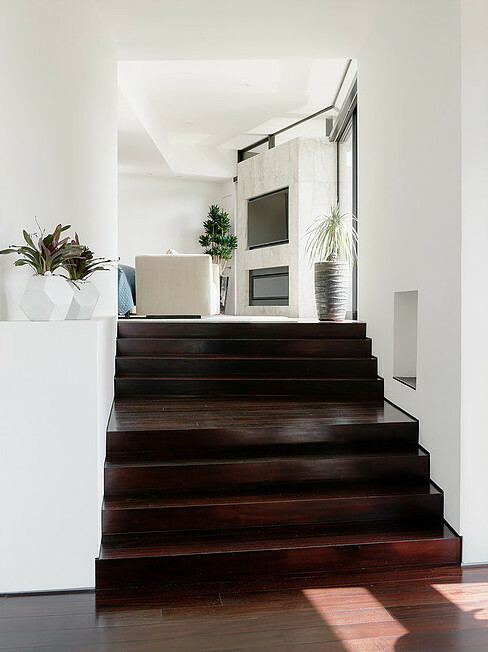 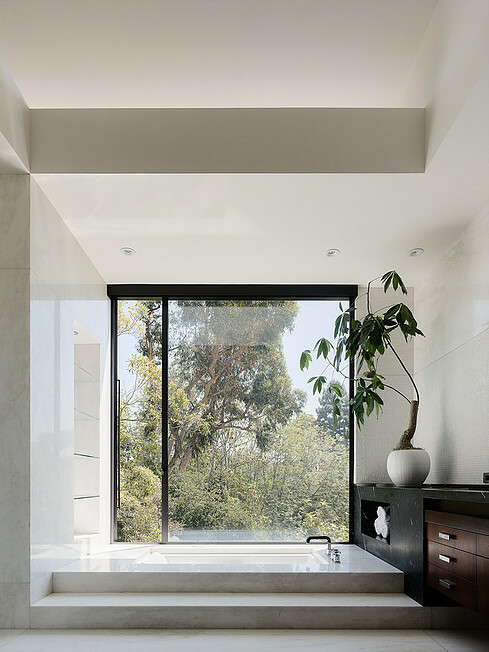 Sleek aesthetics of simple geometry have been thoughtfully designed to create comfortable and purposeful spaces. 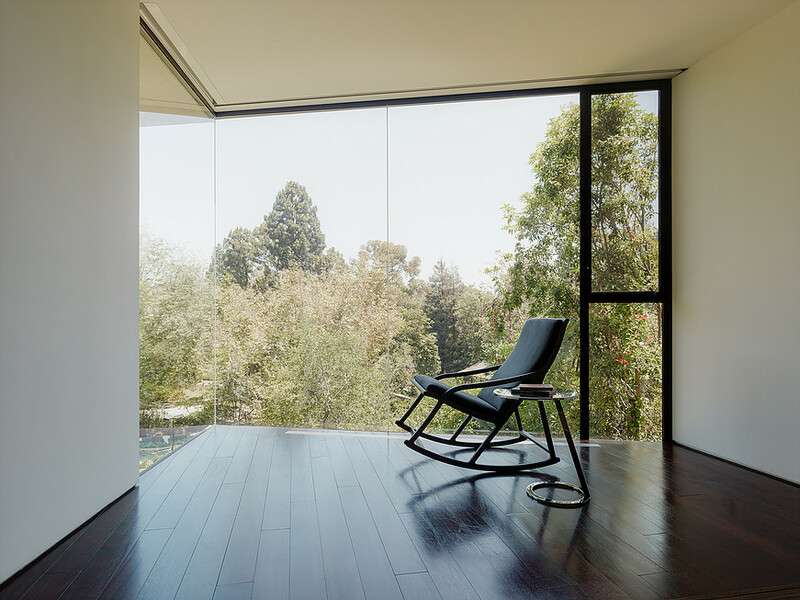 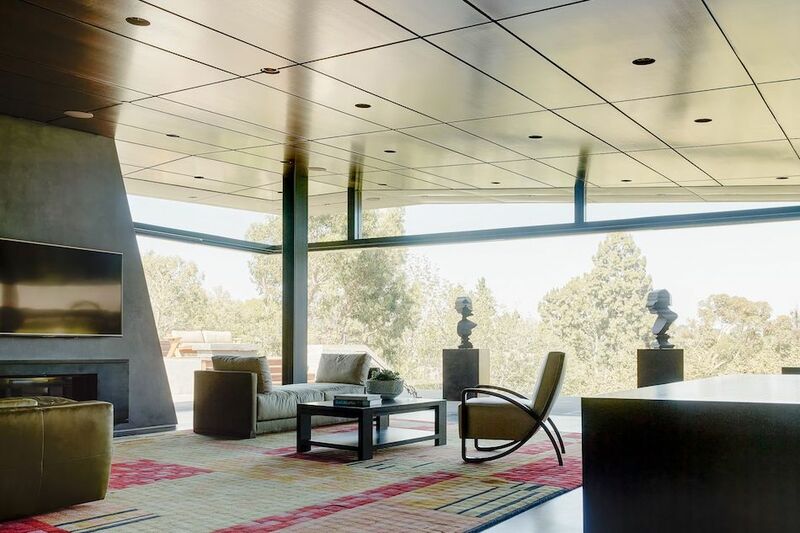 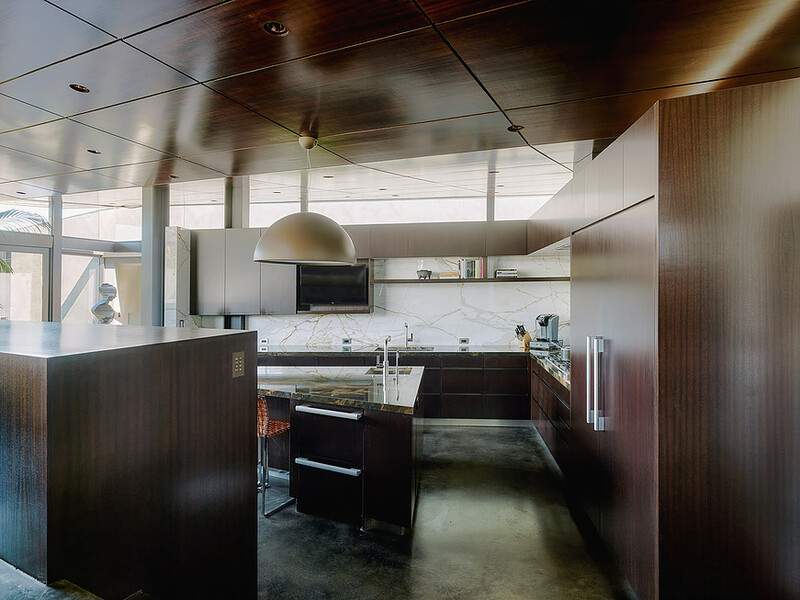 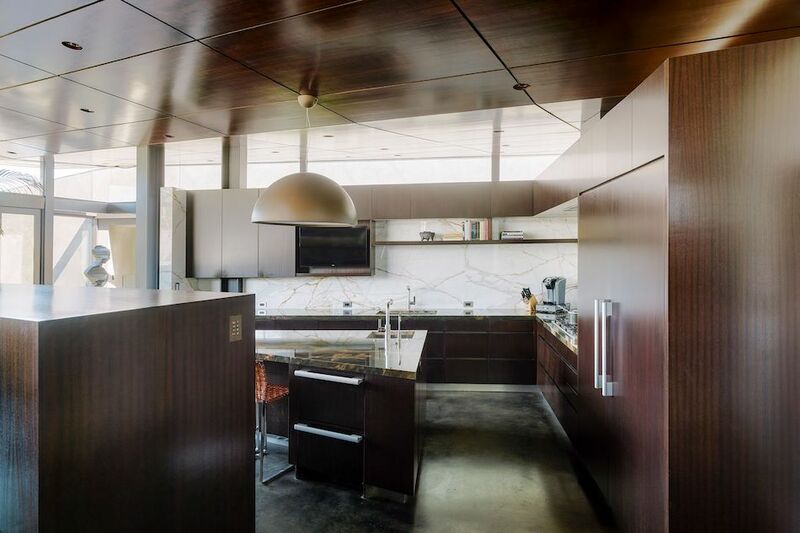 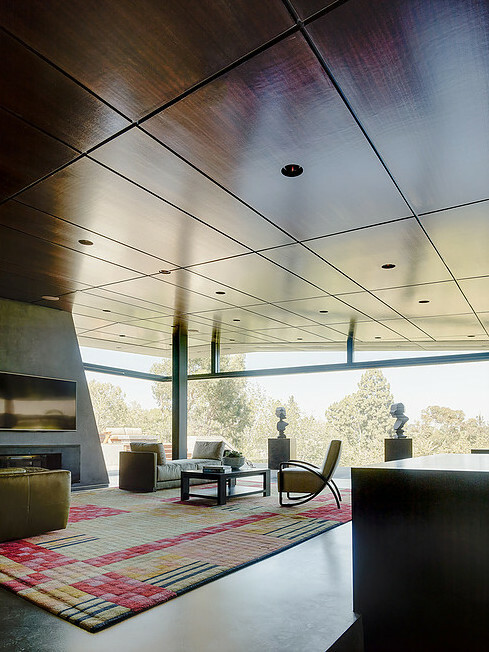 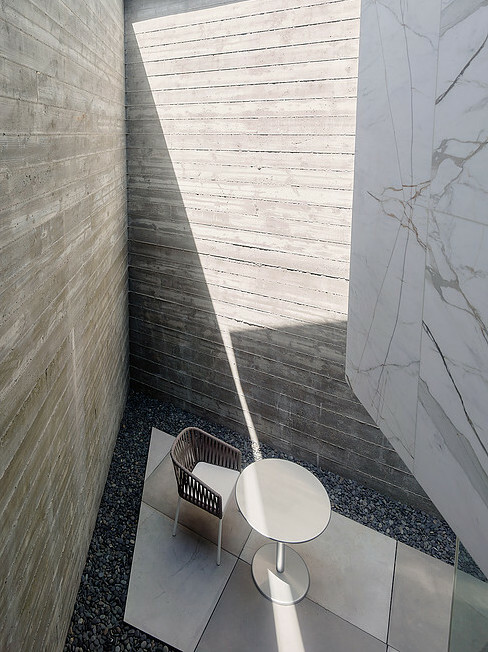 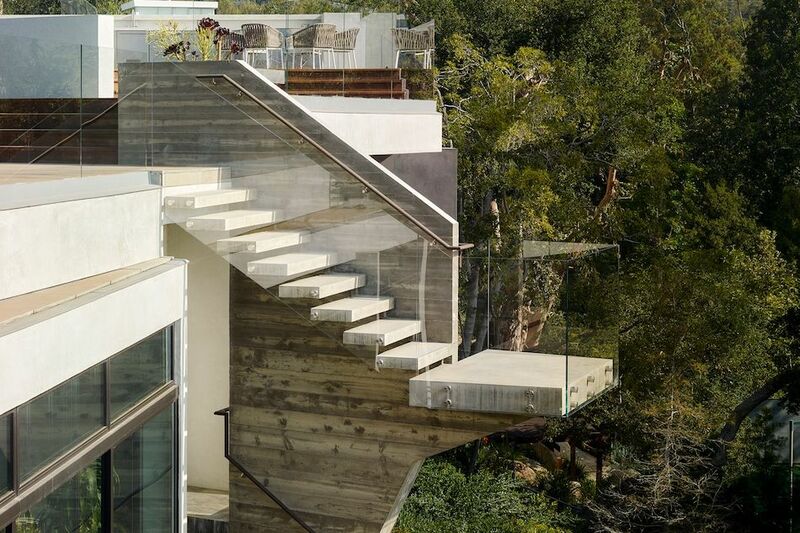 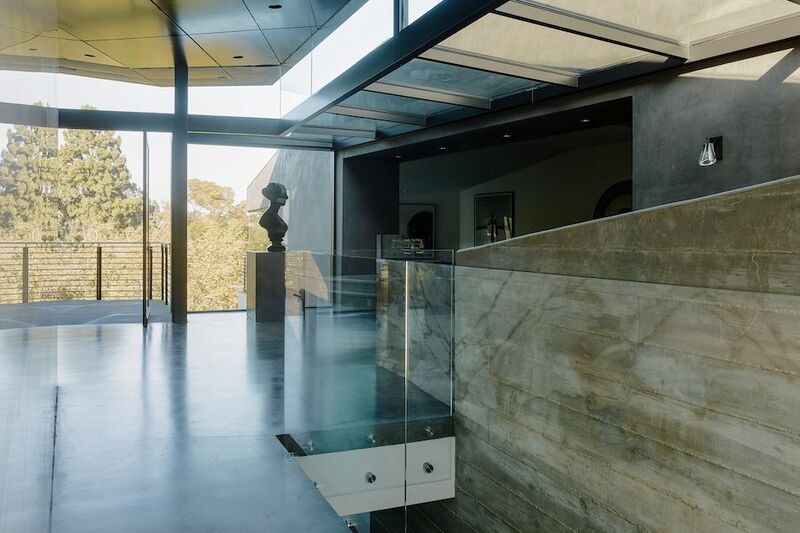 Most rooms in the house offer canyon & treetop views, with natural light pouring throughout. 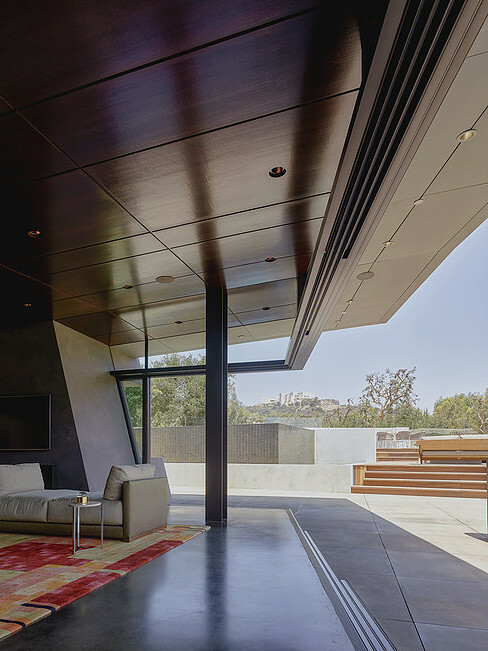 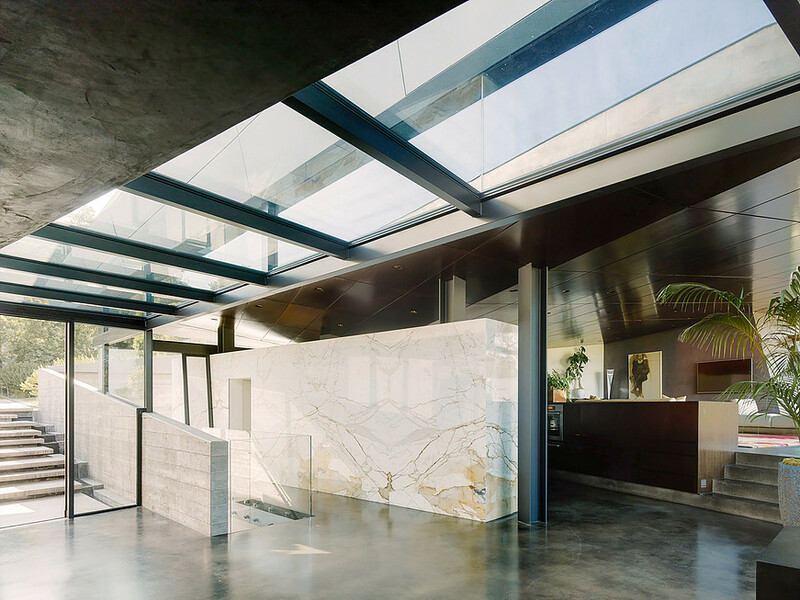 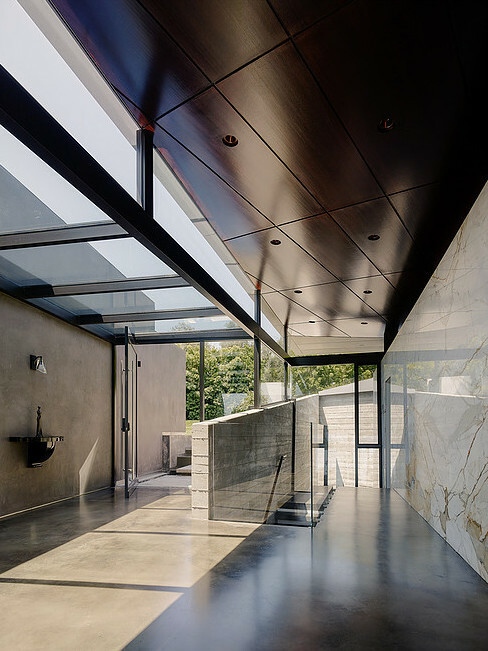 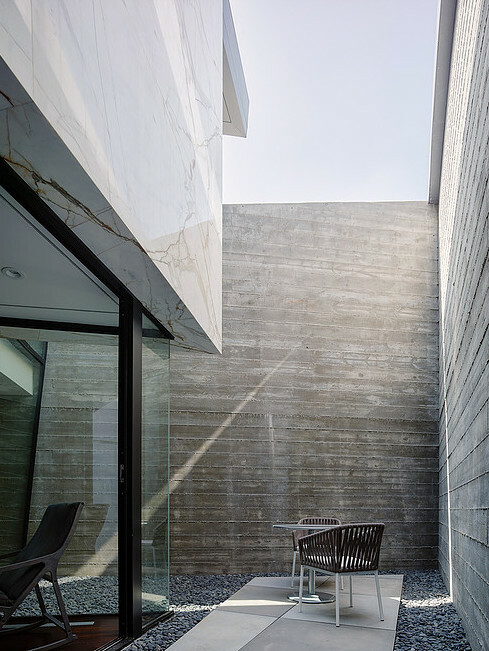 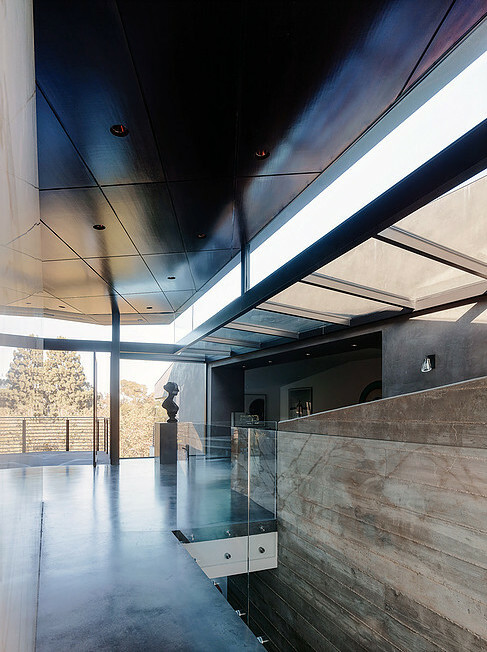 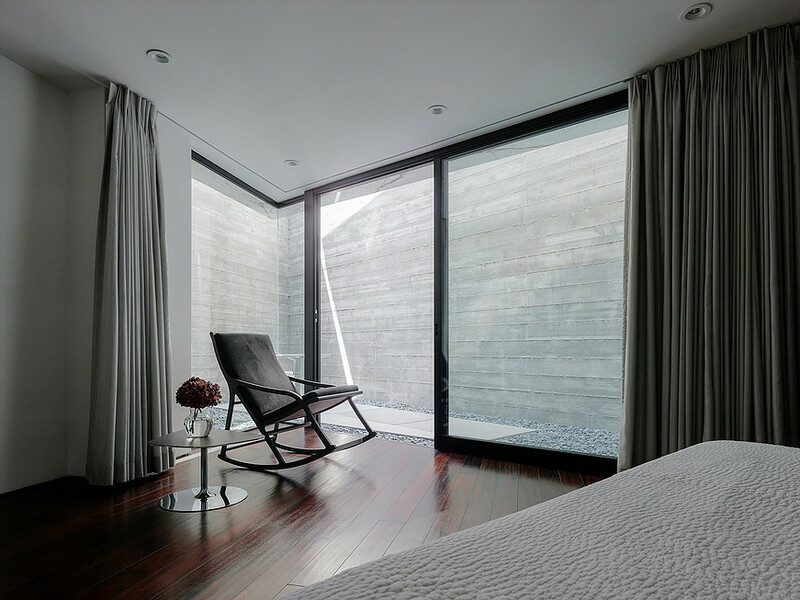 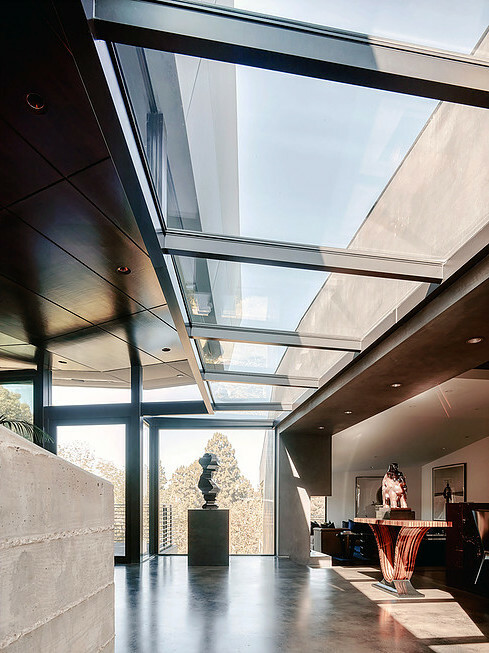 Panel doors open wide to create a seamless indoor-outdoor flow. 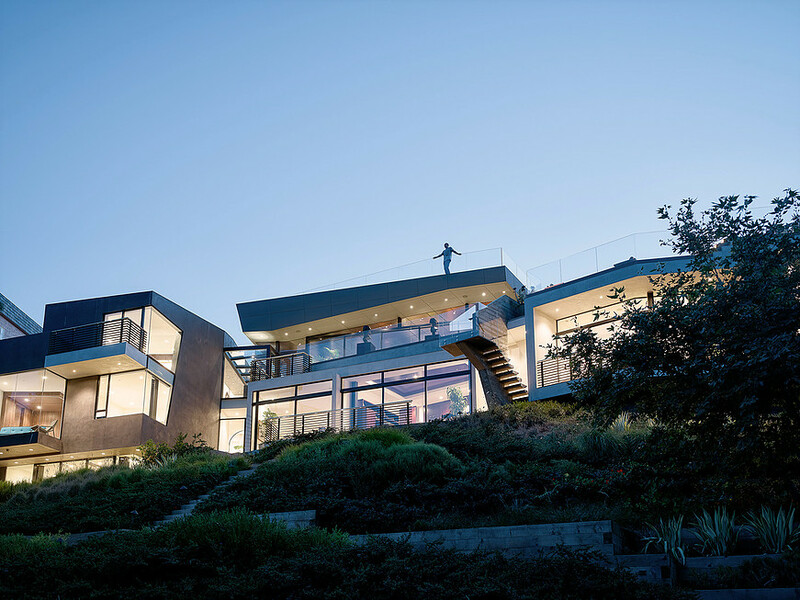 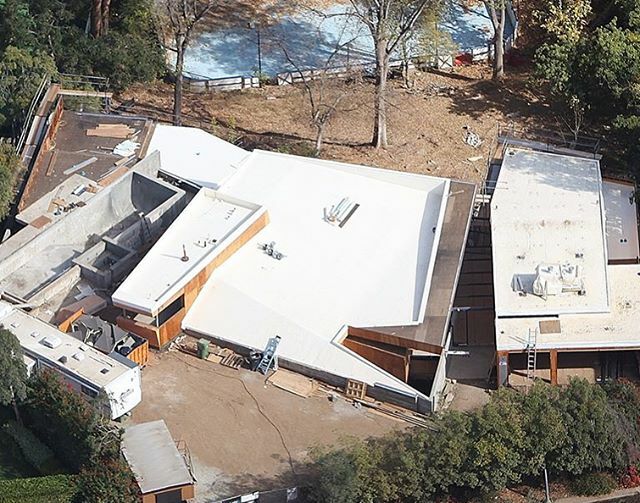 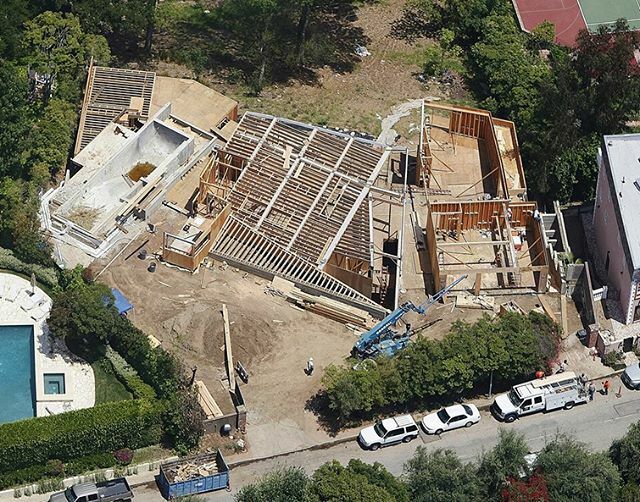 A multitude of environmentally-conscious and energy efficient design elements were incorporated into the home, including a state-of-the-art geothermal heating & cooling system, a solar powered ion pool, honeycomb radiant floors, and tankless on-demand water heating. 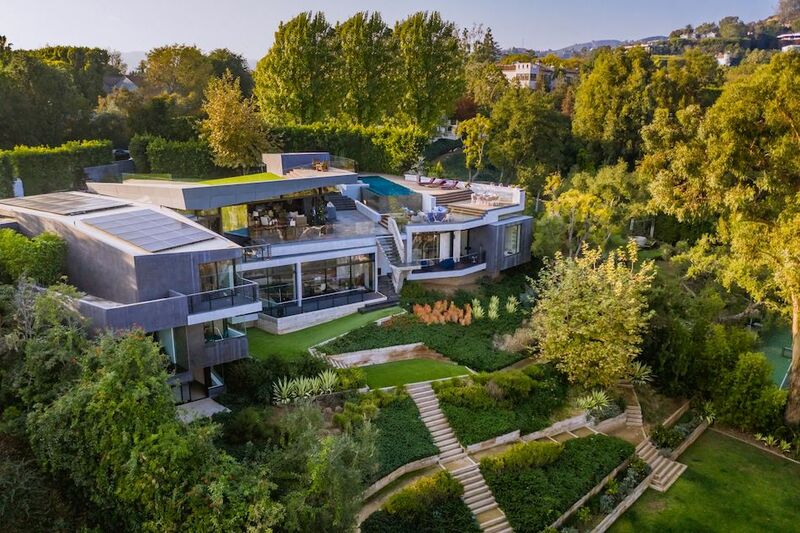 The Barrington Residence is on the market for $21,500,000 with Sotheby’s International Realty.